Swedish car maker Volvo has told a NSW parliamentary inquiry that self-driving cars could be on sale in NSW within five years if local road laws are changed. Appearing today before the NSW Staysafe Committee’s public inquiry into driverless cars and road safety, Volvo said advances in technology meant that fully autonomous self-driving Volvos could be on sale by 2021, and could be safely driven on selected roads like the M5 and M7. Volvo has called on the state government to conduct a self-driving car trial in Sydney before 2021 as part of ongoing efforts to address traffic congestion in Australia’s largest city. A self-driving car can accelerate, brake and steer itself without intervention by the driver. 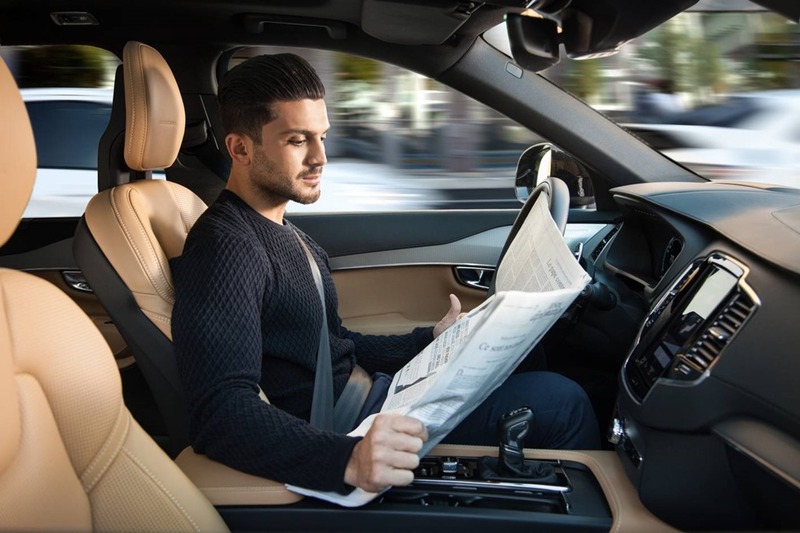 “Volvo believes it is feasible to conduct a safe driverless car trial in Sydney on a connected road system like the M5, M7, M2 and M1,” said Kevin McCann, Managing Director of Volvo Car Australia. “This would pave the way for changes to the road laws prior to self-driving cars going on sale in NSW. This is possible within five years if local roads laws are changed to accommodate the cars. “Having self-driving cars on our major roads in Sydney is not science fiction. It’s reality, and it is approaching very fast. Volvo and other manufacturers have developed self-driving technology and safety features to a very advanced level. “Major cities around the world, like London and Los Angeles, are planning for it right now. Sydney is Australia’s largest city with the most traffic, so it makes sense for the state government and transport agencies to start planning now for the technology that could be on our roads by 2021,” Mr McCann said. In 2017 Volvo will run the world’s largest self-driving car trial on the Swedish city of Gothenburg involving up to 100 XC90 Volvos being driven by ordinary motorists. Last November Volvo was a key player in the first limited trial of driverless cars in Adelaide.